It takes anywhere from 1-2 weeks to get a replacement Social Security card. The Social Security Administration (SSA) will do it for FREE. However, you can make the application process faster, easier, and more convenient by applying for your new or replacement card here with Application-Filing-Service.com. Why wait in line? Our professional filing service auto-generates your SS-5 form and creates a personalized filing guide with step-by-step instructions for submitting your application so you get it right the first time! USA Filing Services is a professional filing agency that makes getting a new, replacement, or changed Social Security card fast and easy. Instead of waiting in lines, filling out complex forms, and wasting time reading confusing government regulations, you can get everything done in minutes right from one portal! We’ll even offer real-time help along the way. The short answer is it should take anywhere from 7-10 days. The long answer is “it depends.” While the application process may seem simple at first, it is actually far more complex. In fact, each year countless applicants wait a month or more for their card because of delays—delays that easily could have been avoided if they had just used a professional filing service. Even the slightest mistake will result in the instant denial of your application. If you don’t get the formatting 100% correct, you could wait weeks more on top of the standard processing time. While the SSA may process your application for free, most people find that it isn’t worth the time and effort. If you’re wondering “how long does it take to get a new Social Security card?”, the answer is, you can get one A LOT faster if you seek the help of professional filing agents. We can’t make the SSA work any faster, but we can get the application done for you in minutes and ensure you avoid any delays. The benefits of our service are well worth our small fee. Nobody wants to stand in line at the local Social Security Administration office. Our service lets you skip the lines and complete everything right from the comfort of your own home. This could save you hours of time. It might take the government about 2 weeks to process your application, but if you get it wrong it could take months for you to receive a new card. Countless Americans make careless mistakes that lead to weeks of delays. Our professional agents make sure you avoid them! We’ve designed this service to make everything as simple and fast for you as possible. What might take you hours on your own can be done in mere minutes with USA Filing Services. If you have any questions, it will take quite a while for the SSA to answer. This could make your application process even longer. Our helpful customer service reps are standing by to answer any and all of your questions immediately. Many Americans quickly discover that they have to spend a whole work day completing this process. Using a sick or personal day to complete this process is a waste of money. 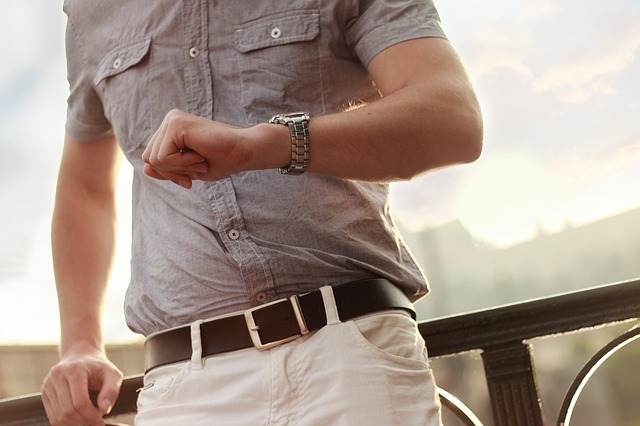 Get it all done in just a few minutes with us and save your personal days for better use. If you retain a lawyer to get your official business done, you are wasting a lot of money. Get it done through us at a fraction of the cost. The Social Security card replacement office doesn’t have the time or resources to effectively help applicants get new or replacement cards. That’s why professional services like ours exist. Let us take care of your application, and you’ll be ready to submit a perfectly formatted SS-5 in no time. If you want a new card, you must submit your SS-5 along with supporting documentation proving your citizenship, identity, and age to the SSA. The SS-5 is long and complex and is also subject to a number of confusing regulations (even the ink color matters!). It’s so complex that applicants frequently make mistakes and have to begin the process all over again. Application -Filing – Service.com is specially designed to make this extremely complex process as simple and convenient for you as possible. You can get a new, replacement, or changed Social Security card in just a few steps. Your personalized SS-5 filing guide contains everything you need: Your guide contains exact instructions for the type of documents you must submit with your application. It also includes information on how to finalize and submit your application. Follow our instructions and your application will be just as the SSA likes it. We support you every step of the way: Our live chat, email support, and phone support professionals walk you through the process and answer all of your questions in a timely manner. This way, you can avoid mistakes and be 100% sure you’re getting it right. You send off your application and wait 7-10 days: Once everything is finished, you mail your application to the address we specify with the peace of mind of knowing you got it right. No surprises! In a week or two, you’ll get your new card. We back our claim with an industry-leading guarantee: If you are not satisfied for any reason, you may cancel at any time for 30 days, no questions asked. We are one of the few agencies that stands by their services with a guarantee. You will get your card or you will get your money back. NOTE: The accuracy of your personal information is the responsibility of the applicant. With our unique SS-5 generating software, everything is as easy as 1-2-3. You could file yourself and pay nothing, but how much is your time worth? There’s no reason to waste hours of time and risk making mistakes when you could have your application in just 3 simple steps. Tell us why you’re applying and give us a bit of personal information. We’ll generate the SS-5 form for you. Gather the documents we specify in our filing guide and submit everything to the address provided to you. Mail your application and wait 7-10 days. You’ll have your card in no time! USA Filing Services system is so easy that there’s almost no way you can get the application wrong. Just follow the steps and your card will be at your home in about a week. Why Does it Take so Long to Get a Social Security Card? The Social Security Administration is a massive government office that is responsible for the earnings and benefits of hundreds of millions of Americans. Also, your SSC is an extremely important document with very sensitive information on it. Because of this, the SSA takes special care to ensure that your application is 100% correct and that you are the person you claim to be. They take special precautions to verify your identity using multiple government documents, and they also pay special attention to the information going on your card. If there are any errors on your card, it could have massive repercussions for your earnings, taxes, and Social Security benefits later in life. There is no way for us (or anyone else) to expedite the process. That’s why it’s vital that you apply for your card correctly on the first try. A professional service is the absolute best way to get your card as quickly as possible. Employers need your Social Security card to track your earnings and their taxes. They may ask you to produce your card when applying for a job to verify you are who you say you are. Financial institutions may ask to see your card to verify your Social Security number so that they can keep accurate records. Universities may need your card to determine your eligibility for government grants and other programs. You will need your SSN to file taxes, and the IRS may even need to see your card at times. If you cannot produce it, this may create tax or benefits issues for you. These are just a few of the issues that you will encounter if you do not have your card in your possession. The importance of this document cannot be understated. It’s best not to take risks and to hire professionals to help you get the process 100% correct. If you are feeling stressed or overwhelmed by the SS-5 and application process, you are not alone. Each year, a large number of applicants get the process wrong and turn to professional services. Many of our customers even tell us they wish they had just hired us sooner. The SS-5 requires a lot of personal information as well as information about your parents. It is also subject to a number of regulations, and the information you must provide varies according to your reason for applying. The sheer amount of information and regulation leads many to get it wrong. If you can’t print it from the web, you must go to the local Social Security Administration office, stand in line, and get it manually. This could take quite a while depending on the line and location of the office. You may have to submit your birth certificate, passport, driver’s license, or another form of ID to support your application. Or you may not. It all depends on your situation, and oftentimes, it’s at the discretion of the SSA whether or not to accept a document. You may have to submit 1, 2, or even more documents to prove your case. If you cannot, your application will be returned. Even the slightest error on your application will result in an instant denial and create long delays. This is frustrating, but it is for your own protection. How Long Does it Take to Replace a Social Security Card With Your Service? Again, USA Filing Services is not affiliated with the SSA. We a professional service that works with you to make the process easier and more convenient. We cannot speed up processing from the Social Security Administration. However, what we can do is make sure you finish the application as quickly as possible and avoid any costly delays. Many applicants find that when they complete the process on their own, they make minor mistakes that cost hours of their time and result in weeks of delays. If you use our service, then you will receive your card in 7-10 days at the earliest. It is possible to go to the local SSA with your documents and request a temporary letter from the government stating that you do, in fact, have a card. This will have to suffice for the time being, but it’s only valid for 30 days. If you want to get your card as quickly as possible, begin your application with Application-Filing-Service.com. In just a few simple steps, you can cut hours off of your application time and avoid costly delays caused by minor errors. Don’t make the same mistakes that so many others have. Use a professional service now and make sure you get it 100% right on the first try. A: If you’re wondering long it takes to get a new, modified, or replacement Social Security card, our customer service professionals have put together this F.A.Q section to answer your most pressing questions. Q: How long does it take to get a new Social Security card? Q: Is there any way to get my card faster? Q: Do I have to wait in line at the Social Security replacement office? Q: What are my options for submitting my application? Q: Can I get a Social Security card the same day? It will usually take the SSA 1-2 weeks to process your Social Security card application. There is no way to get your card sooner. The SSA takes special care to verify your information and identity, so the process takes some time and must be completed 100% accurately. The best way to make sure you get your card as quickly as possible is to use a professional filing agency that specializes in the SS-5 form and filing process. This not only saves you hours of time on the application process itself, but it also helps you avoid costly errors that could delay your application for weeks or more. Many applicants attempt to do the application alone for free (the SSA does not charge for a new or replacement card. It only costs your time) but find out weeks later that they made mistakes and are forced to apply all over again. That’s why so many are turning to professional 3rd-party agencies like ours to avoid delays and make the process more convenient. Getting a new card takes just as long as getting a replacement, and there is no way to get a card the same day. If you want to make sure your card arrives in your mail, leave it to us. You need your SSC for a number of vital purposes. If you do not apply for one, you may find it difficult to get a job, attend college, file taxes, or do a number of other vital life tasks. It is absolutely necessary to replace your card if it is lost or stolen or to apply for a new one if you haven’t yet. The SS-5 form is detailed and confusing, and government regulations regarding supporting documentation are complex at best. Let our professional filing agents handle everything for you so you don’t have to deal with the stress. When you use USA Filing Services, we make everything as easy as 1-2-3. Begin your application now! You need your SSC to get a job, apply for college, file taxes, and open a bank account, so don’t wait! We are in no way affiliated with the SSA. We only make this process much simpler and far more convenient.